Hello everyone, and welcome to “Fish Stories”! 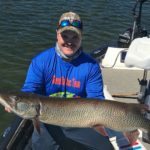 I (Phil) will be posting here every month or two to give updates on seasonal fish patterns, trophy catches, and tips and techniques that have been working for us. For this first post I will give you a quick rundown of 2018 so far and what is to come. 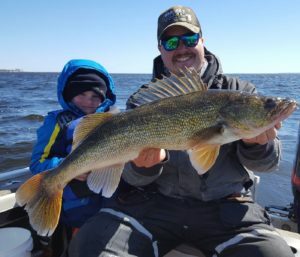 Spring walleye fishing this year was fantastic, with big fish getting caught all over the bay and in its tributaries. As per usual, the Fox River produced a lot of great fish first, with Oconto and Marinette close behind it. 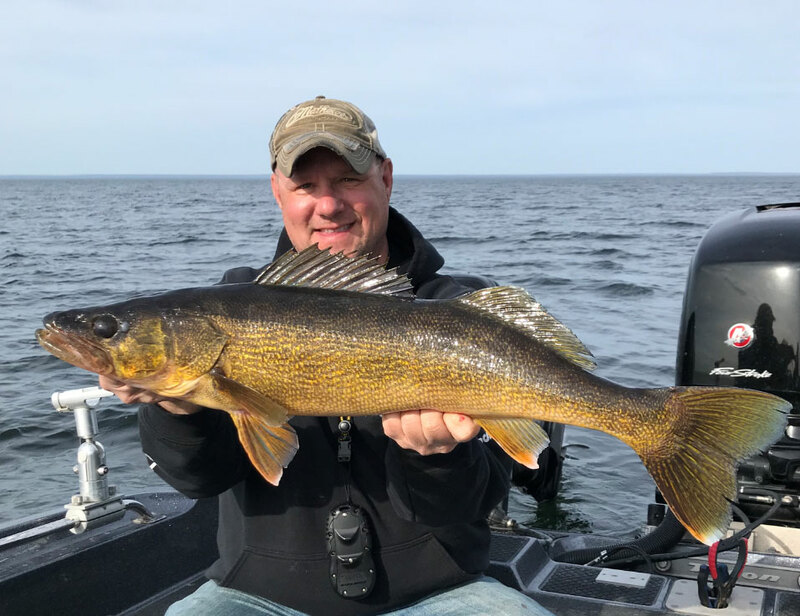 Fishing in Door County always seems to produce some of the biggest fish of the spring each year as well and this year was no exception. Trolling large stick baits and casting Rip n Raps were two of the best techniques for targeting those big spring fish. The highlight of my Spring had to be helping six year old Ayden Niehaus to his personal best walleye (which happened to be bigger than his dad’s PB) of 29 3/4 inches. Opening of Musky Season is always an exciting time with lots of folks flocking to the Fox River to fish. We did our best to stay away from the crowds this year and I was rewarded with a 46” musky caught on the East Side on a bucktail. 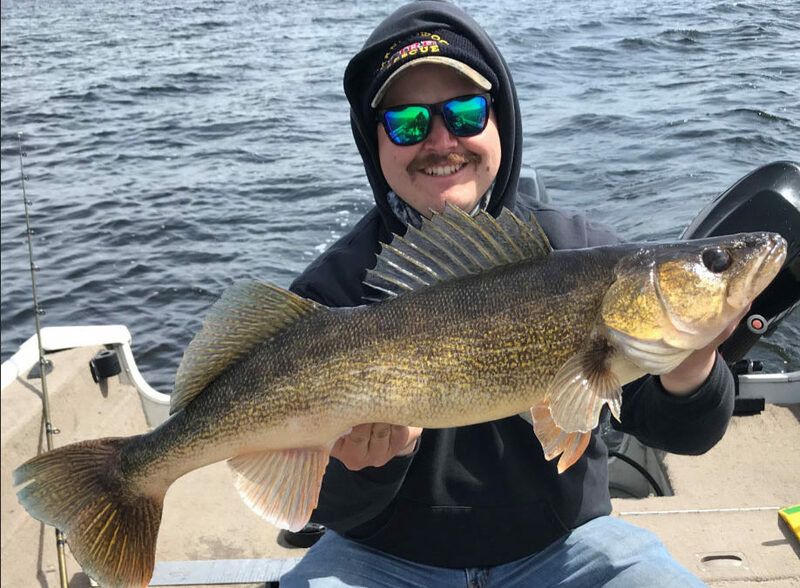 The summer walleye patterns are now in full swing with many fish being caught on crawler harnesses and snap jigging baits like Shiver Minnows. It is a great time to go out and catch a bunch of “eaters” and there are some trophy fish mixed in as well. End of Summer signifies the beginning of prime musky time on the bay! The casting bite should start getting hot very soon, with the best trolling times starting at the end of summer. 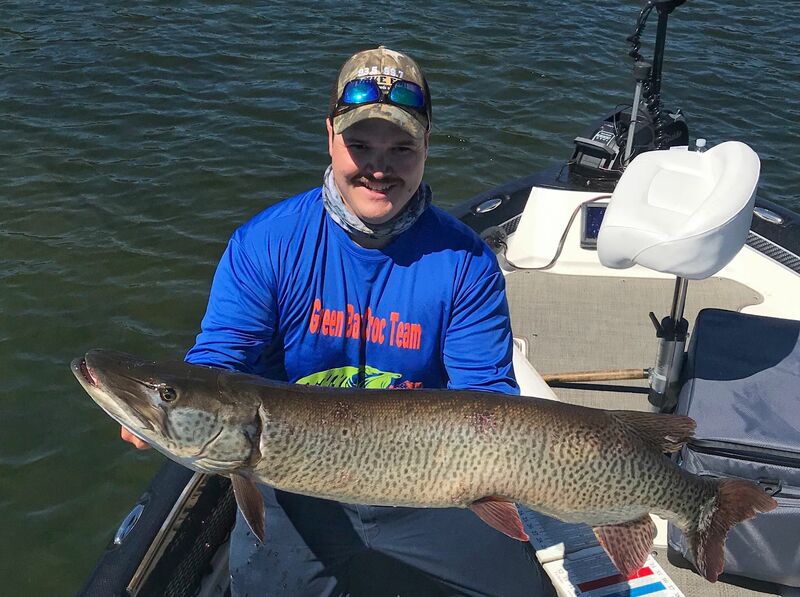 Many MONSTER fish have hit the bag already this season, with 54 and 55” fish already being registered in the Muskies Inc. “Lunge Log” and reports of even larger fish have been surfacing as well. I anticipate a blockbuster year for Green Bay Muskies. Don’t miss out! Book your trip TODAY!